Don’t stress about old furniture or builder’s waste cluttering your house, garage, or shed, get in touch with us today. 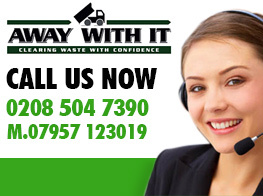 Let our expert teams provide you with an efficient and affordable house clearance solution. 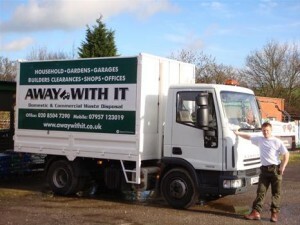 Away With It are fully licensed and insured waste removal experts who have been serving Rainham for over 15 years. 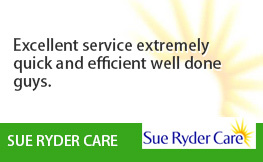 For this reason, we see clients repeatedly coming back to us, impressed with our efficiency and flexibility. 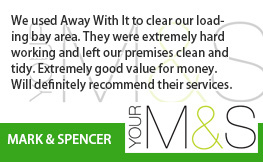 The hard-working house clearance teams at Away With It are praised for their high level of customer service. 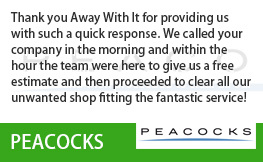 They are dedicated to ensuring that customers are 100 per cent happy at all times, and always tidy your property after the job is complete. Our friendly teams are able to clear almost any non-hazardous waste and we also aim to recycle 80% of what we remove from properties. Regardless of your budget, it is worth remembering that you will always pay the best possible price with Away With It. Unlike other companies, we charge by the volume of waste removed, as opposed to ‘loads’. This means that house clearance with us is extremely cost-effective, meaning you can spend more money on the things you want! 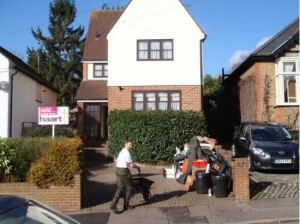 Over the years that we have been providing house clearance in Rainham we have built up a fantastic reputation. Not only are we advocated for our reliability, but also flexibility. As we offer house clearance seven days a week between 7am and 11:30pm, we are able to fit in seamlessly around your schedule. This means no waiting around all day waiting for a house clearance team to turn up or having to take time off work. When booking your house clearance, you will choose your date and time, and we will provide a guaranteed two-hour time slot as to the arrival of your team. However, they will always give you a complimentary call when they are on the way to your property. With Away With It, you won’t need to lift a finger. Leave all the heavy lifting to our professional teams; the old bath may look heavy, but they will have it gone in minutes! 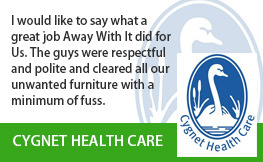 We can remove anything that you want cleared, no job is too big or too small. Once you have decided that you are interested in house clearance with Away With It, give us a call and arrange a visit with one of our advisors for the bigger jobs. If it is just couple of items, we can easily liaise over the phone. Visiting your property allows us to discuss all your requirements and provide a free no obligation quote. However, you are under no obligation to accept. Take your time and have a think about it. Once we have been given approval from you, it is all systems go. 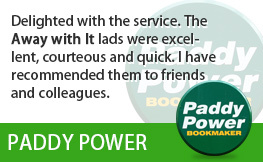 We will arrange a date and time that suits you to come and clear your house. We understand that finding a house clearance company that fits in seamlessly with your plans is rare so do not hesitate to get in touch if you need to alter your plans or have a special request. If you want to discuss your needs for house clearance in Rainham, or would like to receive a quote from our team, give us a ring on 0208 504 7390 or 07957 123019. 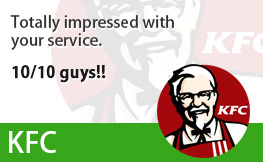 We are happy and available to take your call 7 days a week, from 7am to 11.30pm.